DÜSSELDORF, Germany, October 21, 2013 – Solvay Specialty Polymers has reached an agreement to acquire a financial interest in Aonix Advanced Materials, based in Ottawa, ON, Canada, a leading developer of advanced composite materials and manufacturing systems. Solvay will partner with Aonix to accelerate the development and commercialization of mass-produced, thermoplastic composites made of Solvay’s high-performance polymers for end-use markets including mobile electronics, automotive, oil and gas, and sporting goods. A final agreement is expected to close in late November. Solvay made the announcement at K 2013 (Hall 6 Stand C61), the 19th International Trade Fair for Plastics and Rubber Worldwide, which runs Oct. 16-23, in Düsseldorf, Germany. The investment demonstrates Solvay’s strong commitment to the composites market and provides a channel for its polymers to play a key role in this fast-growing segment. The partnership will target Solvay’s full range of high-performance polymers. However, the agreement won’t affect developments involving KetaSpire® PEEK with other companies. The partnership will focus on the use of Solvay’s high-performance thermoplastics as a matrix as well as overmolding polymers which are particularly suited for these advanced composite applications due to their strong mechanical properties, superior damage tolerance, and chemical resistance. A key processing advantage is their faster cycle times compared to thermoset systems such as epoxy, particularly in high-volume fabrication. 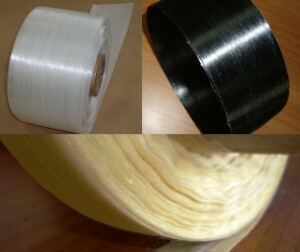 These composites are reinforced with glass fiber, aramid fiber, or carbon fiber. Aonix offers a range of proprietary UltraMaterialsTM, a range of thermoplastic formulations that are used to create new classes of composite materials with superior performance, high-volume output, and recyclability versus conventional composites. The company accelerates commercial development by performing all formulation, prepreg, prototyping, testing, and validation for the customer. Aonix’s turnkey solution also includes purpose-built, automated manufacturing systems that are fully optimized for high-volume/low-cost production, eliminating the labor-intensive processes of traditional composites manufacturing. “We expect our partnership to capitalize on the integrated value chain – from material formulation to component manufacturing,” said Klesing. Work on commercial applications is underway in a range of end-use markets.